The Kong Meng San Phor Kark See Temple and Monastery was built in 1920 as a place of practice and lodging for monks. Over the past years, the monastery expanded constantly, now featuring several halls, gardens and temples. The buildings are modelled after the southern Chinese style of architecture and stand on 75,470 sq metres, the size of 10.7 football fields. 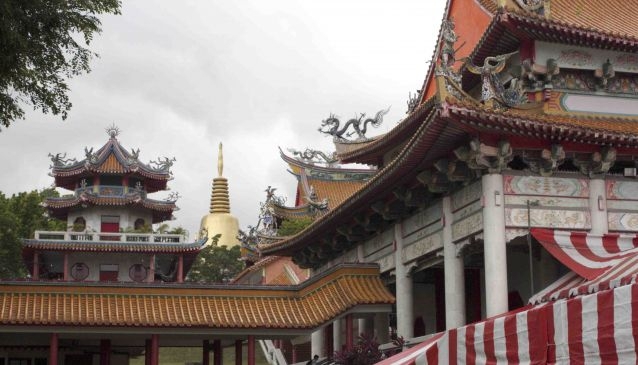 Bright Hill temple is the place where most deceased in Singapore are cremated. There is also a columbarium at the temple. Expect to see crowds of family members accompanying caskets and heavy traffic with entire busses to assist a memorial service.